We are having new ABE internship student. She will implement agricultural experiment using our biochar. Here is the comment from Siviwe. Japan was one of the most incredible experiences of my life and I am beyond grateful to have had the opportunity to go on this academic adventure. I learned a lot from my supervisor, Professor T. Masunaga. I am also honored to be selected by Meiwa Co., Ltd. to participate in JICA post-graduate internship program. 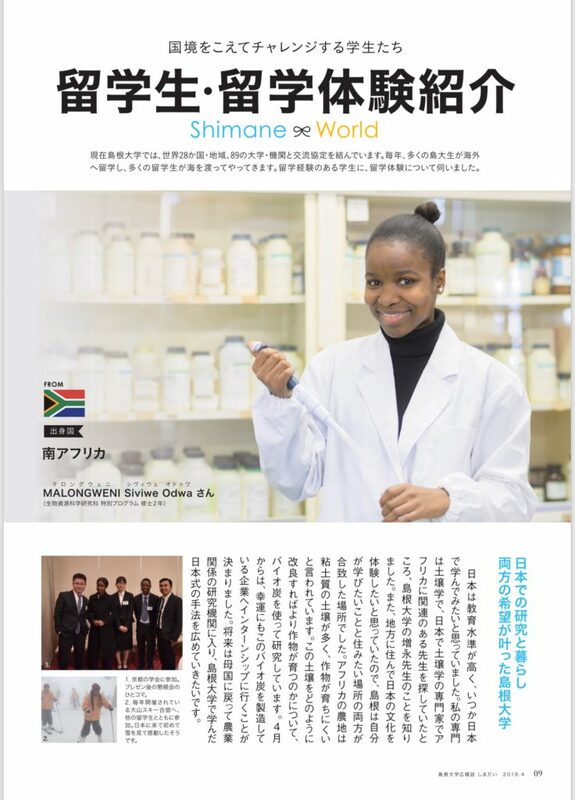 Thank you Meiwa Co., Ltd., Japan International Cooperation Agency (JICA) and African Business Education (ABE) for empowering my career development skills. (C)2018 MEIWA CO., LTD. All Rights Reserved.